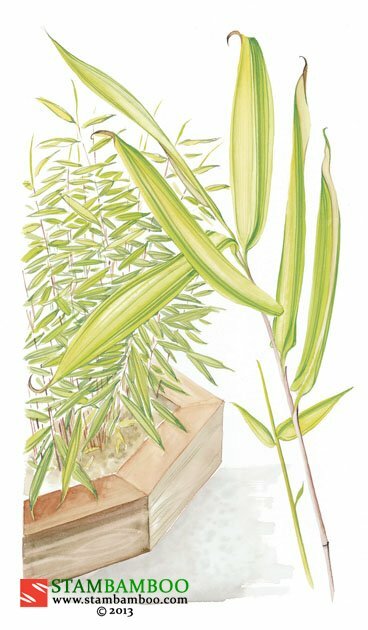 Luminous cheery-yellow foliage, rakishly striped in bright-green, makes this dwarf Japanese bamboo a sunny addition to any garden. 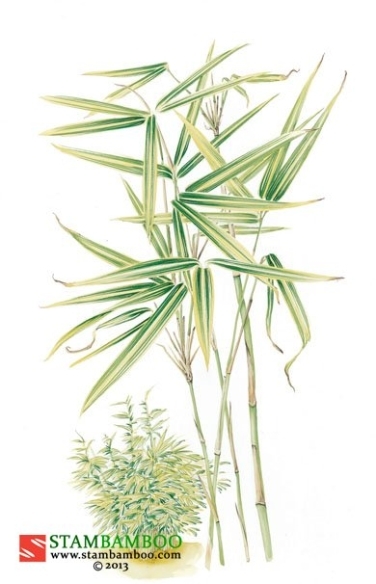 Soft hairs cover the large leaves, making them highly strokable; the colouring varies throughout each plant and occasionally some leaves are entirely yellow. 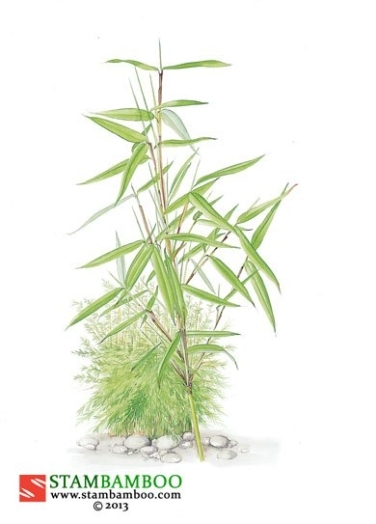 Because the foliage becomes greener as it matures, this bamboo may be cut to the ground in late autumn or early spring to produce a fresh yellow flush each year. 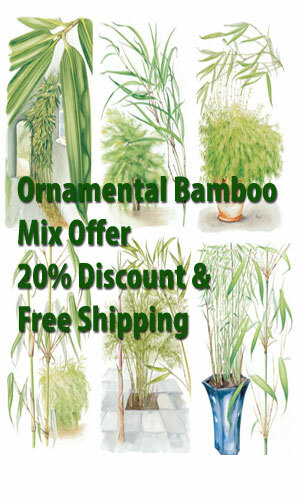 One of the very best variegated bamboos, this plant – with its slim purple-suffused canes – grows in semi-shade to full sun. 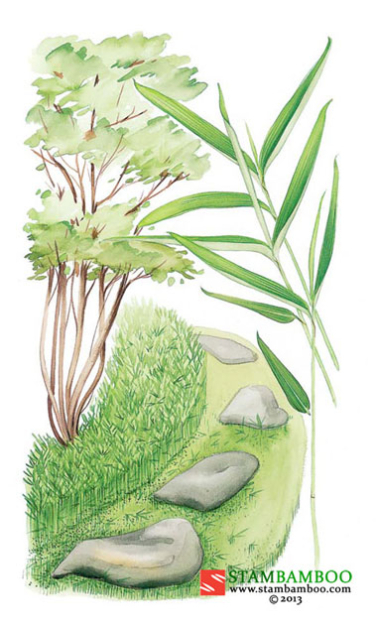 The rootstock is slightly running, but is easily controlled, so it is perfect for brightening a dull border, or for growing as groundcover, in a container or as a light-exuding clump anywhere in the garden.